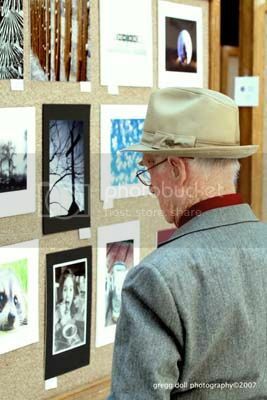 It was a good week for local activities. 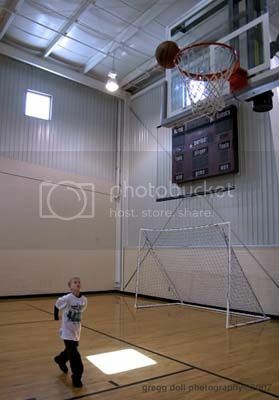 I ran from the top of the county to the bottom of the county. 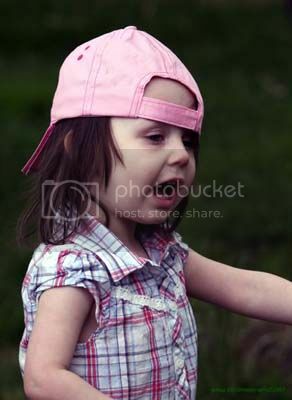 It was a news rich weekend. 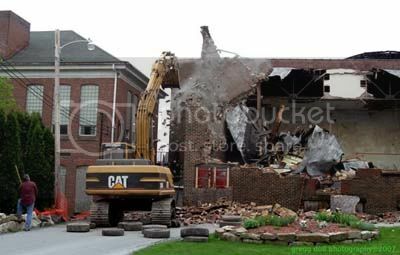 We hit Patton, Northern Cambria, Ebensburg and Richland Township. 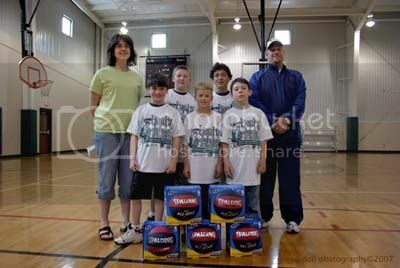 With one minute on the clock, this young man from Ebensburg had to get as many baskets as he possibly could. 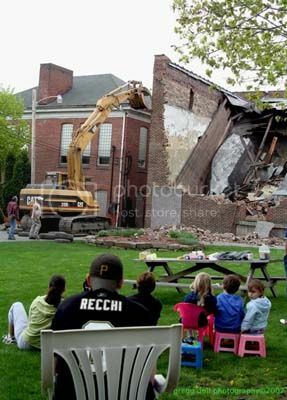 With front row seats friends and family gather in a yard behind the school to watch the wall come down. 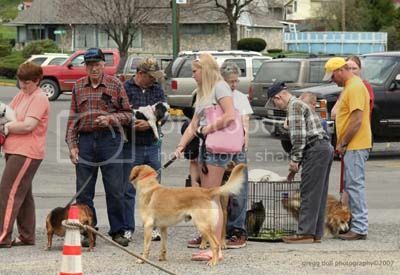 Just part of the long line of several hundred dogs and cats who waited to see the vet. 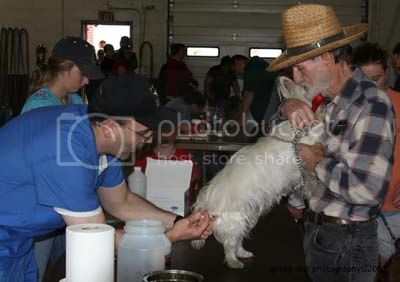 Dr. Brian Fenchak of Ebensburg spent the day in Patton dispensing rabies and distemper shots to many dogs and cats from around the area. 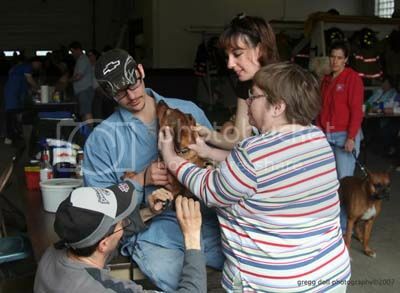 So how many homo sapiens does it take to clip the nails of one small canis lupus familirais? 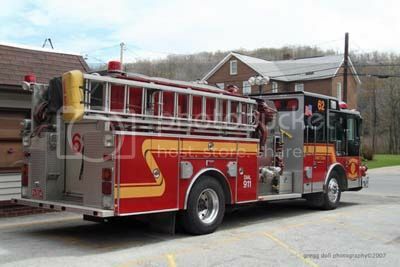 This is Patton's 1995 KME fire truck. It holds a crew of ten and carries 750 gallons of water. 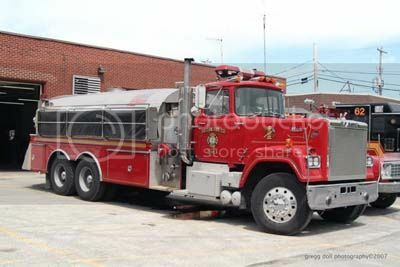 Patton also has in it's fleet a 1983 Mack/4 Guys 3500 gallon tanker. 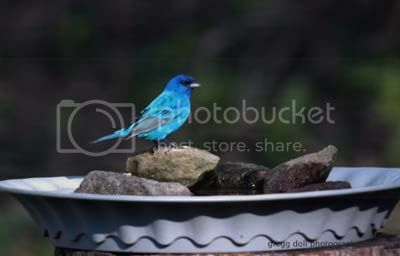 This year we have at least two pairs of Indigo Buntings nesting in the trees next to the yard. 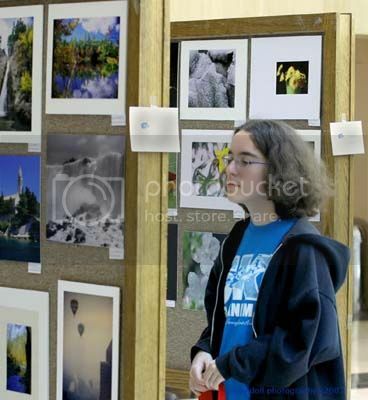 My daughter checks out some of the photographs while I register my prints for the contest. 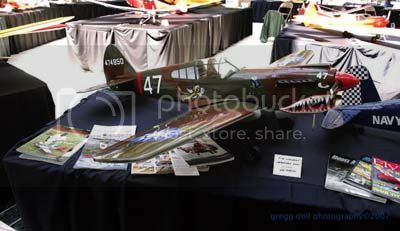 Ken Reesey displays his P-40 "War Hawk" during the Johnstown R/C Club's Annual Show held at the Galleria Mall over the past weekend. 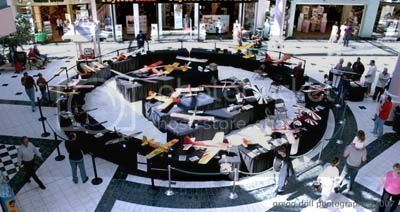 Over 35 radio controlled air planes were on display at the Galleria. 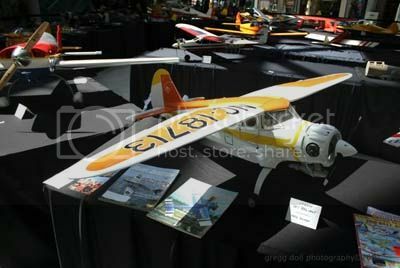 Fred Rohde of the JR/CC shows off this nice Stinson SR-7 Reliant. 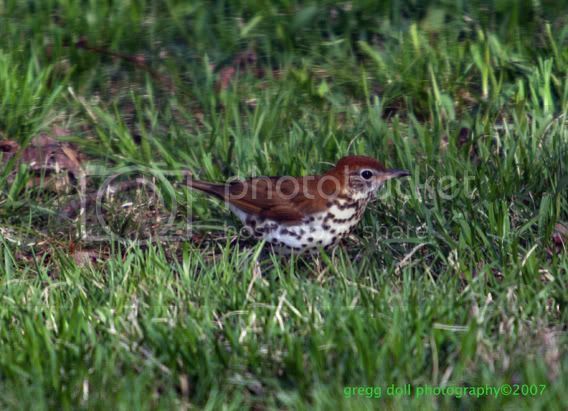 Wood Thrush looking for a meal in the yard. 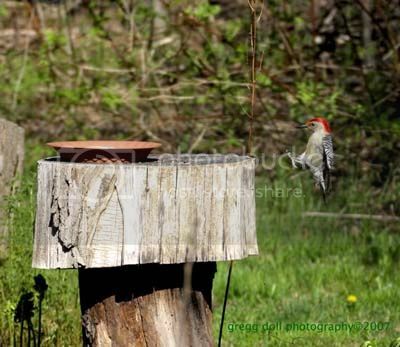 Setting up for a perfect six toed landing is this Red-Bellied Woodpecker. 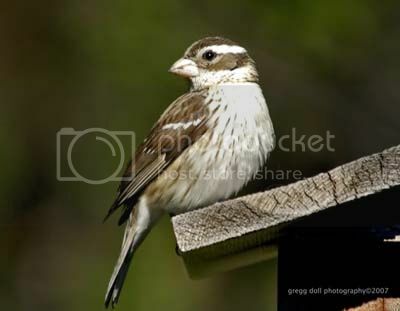 The plate on the stump holds mixed bird seed. 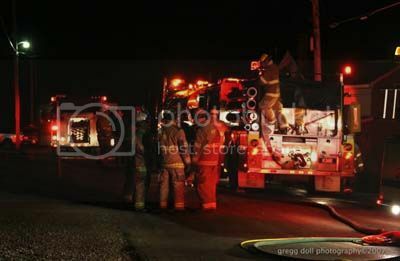 It was 01:30 Sunday morning when the alarm was sounded for this house fire in Slickport, Elder Township. 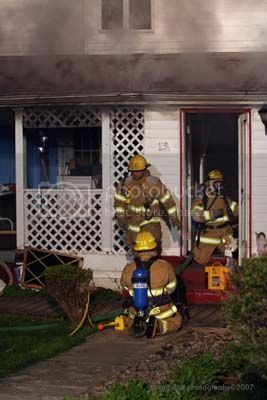 Although the house was filled with smoke, the three responding fire companies, Hastings 55, Patton 62, Hope (NC) 50, held the fire itself to one room in the front of the building. 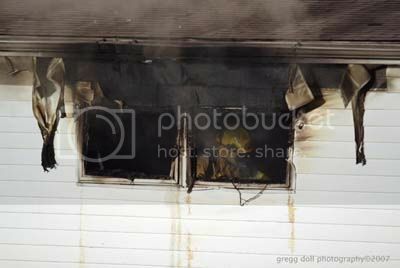 The flames shown in this picture were subdued by the Hastings company in less than three minutes from the time they shot out the window. After investigation, the fire marshall said that the fire was started by objects placed too close to a space heater. The occupant of the house was away for the weekend. 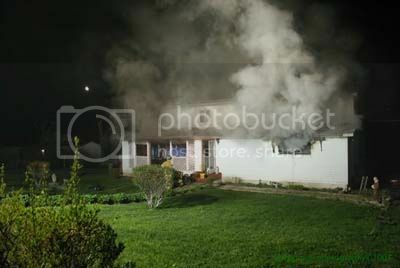 Estimated damage to the home was $25,000. 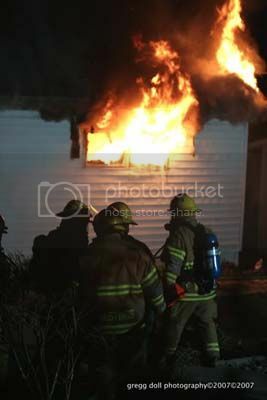 Firemen from Hastings Station 55 prepare to vent the building. 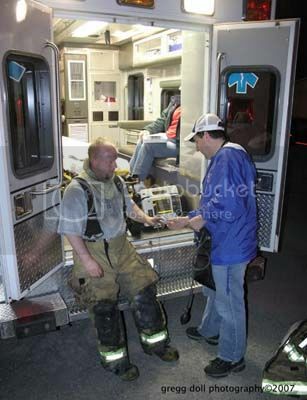 His face blackened from soot from the fire, a firefighter gets checked out by a medic of the Hastings Area EMS Station 69. 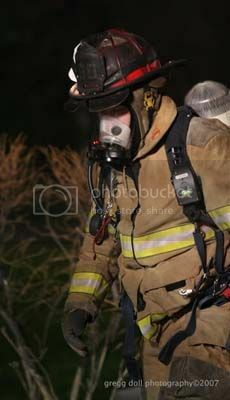 Fireman from Northern Cambria's Hope Volunteer Fire Department Station 50. 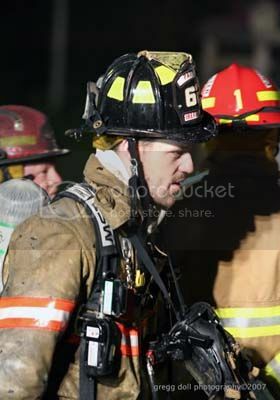 One of the firemen from Patton Station 62. With the fire under control, hoses are readied for transport back to the fire hall. Can you see the mistake in this billboard? 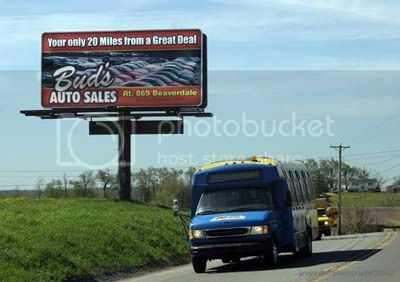 Unfortunately for Bud's Auto, there are more than one of these signs around Cambria County. The Cam Tran bus shown in this picture is on it's run from Ebensburg, the county seat, to Patton. The cost for the 15 mile trip one way is $1.90...and that ain't bad.